A small difference in value of the color code means a small difference in the formation of color. The frequency value of the three color ranges from 0 to 255. As the value increases, the use of the color in the formation of final color increases. With the help of this color picker, we can get the numeric value of the color we select from there. We select a color from the given set of colors and simply get its numeric value in terms of three colors RED, GREEN and BLUE. 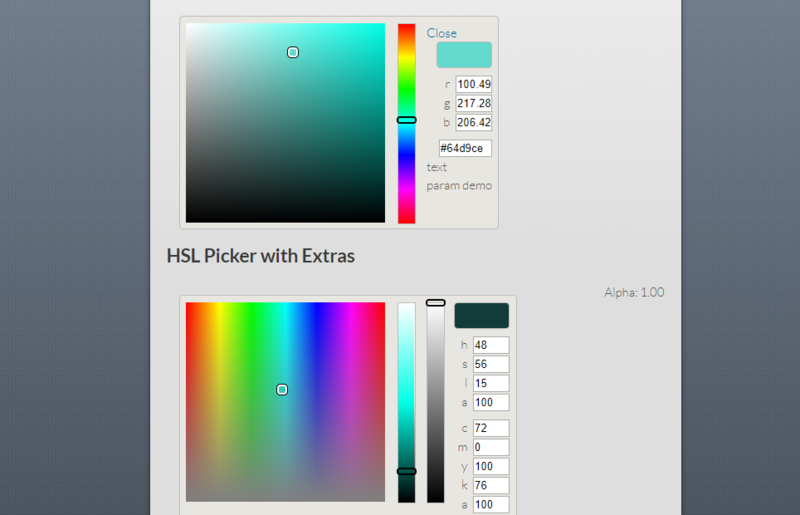 Color values are also determined using this color picker along with the background design. This looks similar to that of Microsoft Office 2010 color picker. The main advantage of using this color picker is that it also supports transparent color and provides us the code for the transparent color. 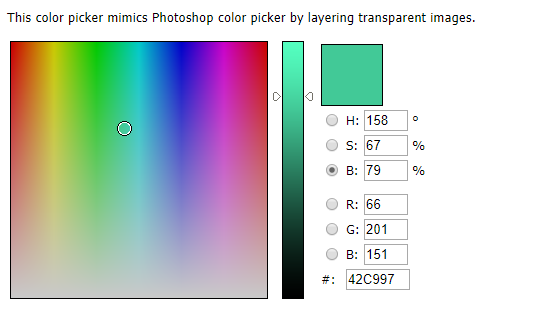 Options of background color and foreground color are available in this color picker. It becomes super easy using this color picker. A slight difference is in the mechanism of this color picker. Here we type a code to see the color formation and choose it if it looks good unlike others. Color picker here works from the function included in the code. That means the functions has the access of the color picker. As we can see in the example that there are many form fields showing different cases that may arise during the selection of color. 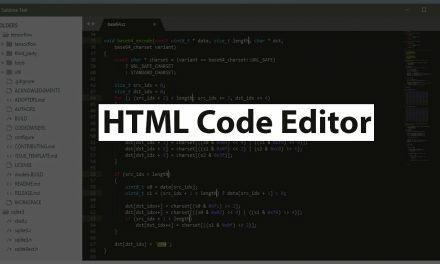 With the selection of the color from the option, the code for the color displays. We can simply access the color picker if we include some of its file in the HTML page. 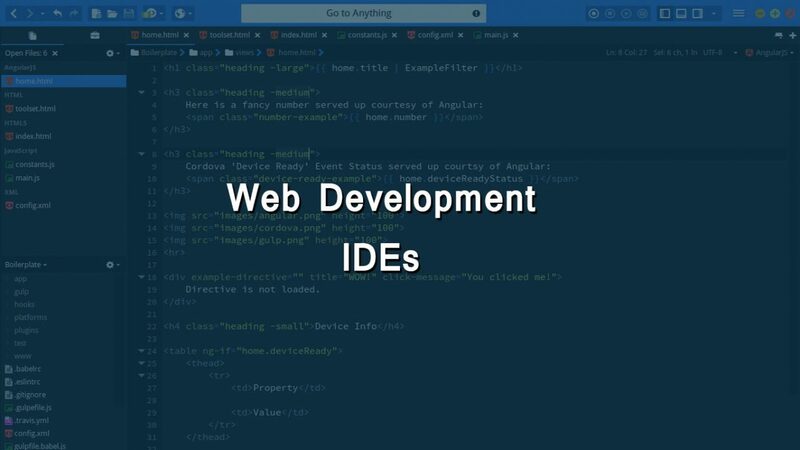 However, we can also implement the same using Jquery method also which is an advanced method. The interface of selecting color is similar to the interface we use in Adobe Photoshop. As soon as we select a color from the box, the codes of the color displays in the lower box. Using this is easy and effective. However, looks very old, simple and classy interface. 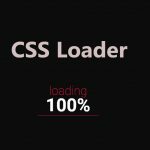 Bootstrap uses this type of color picker. We can simply download this and use it in a similar way we use other. 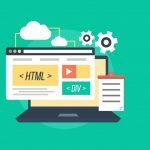 We simply need to install the downloaded file and include it in the HTML portion of our code and we can use it from there. 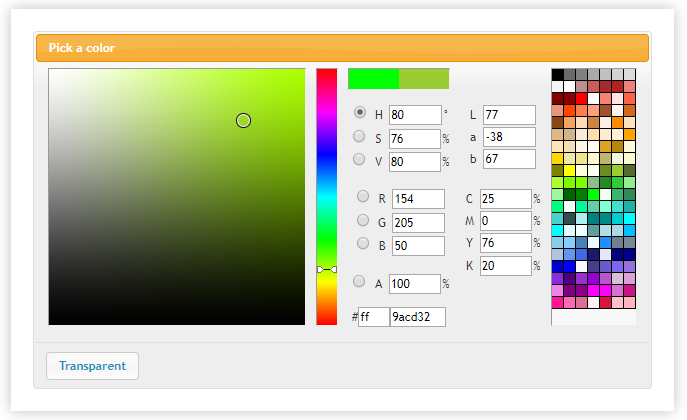 The color picker gives the color values as soon as we select the color from the palette. Four types of color picker are available here. We generally use first one – RGB color Picker as all the color we use is the combined form of RGB color. The background of the web page changes when we switch between colors. All the process is same but because of the change of whole background, this color picker looks attractive and beautiful then rest of the others. However, the color values are available to us. The interface is similar to that of Adobe Photoshop. The selection of color portion is on the right side and as soon as we select, the color code displays in the right side box. For all the colors RED, GREEN and BLUE, we can see the color code. Moreover, we see the overall color code. 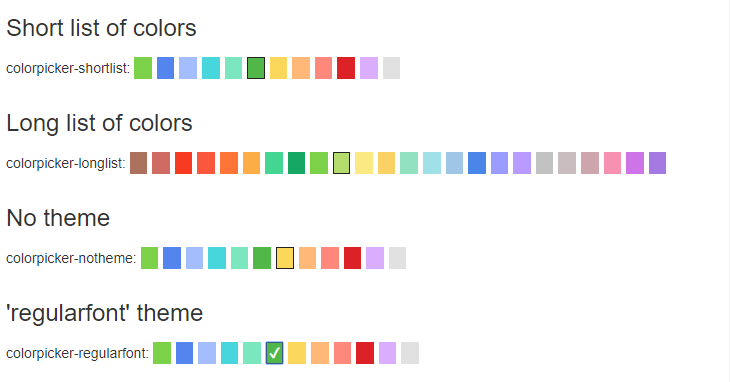 We see the different types of color picker in the webpage. All the themes available there works on same way that other does. 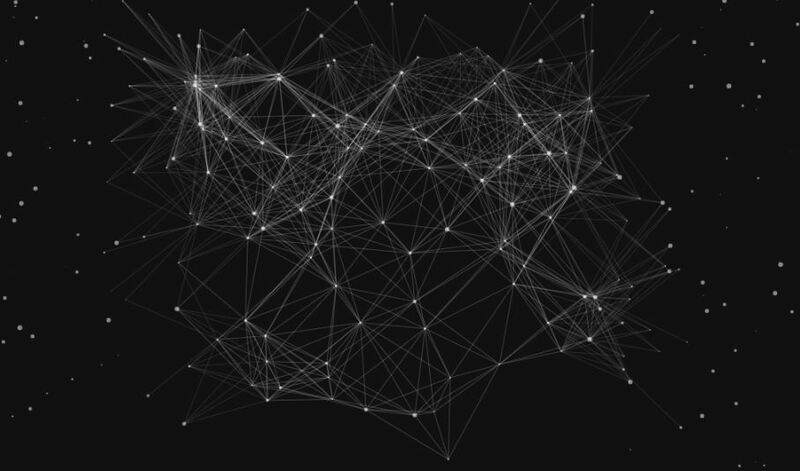 We can see different types of themes in the web page. 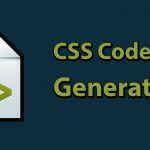 We can select particular type of theme from the options and can use it in our website. Along with the color picker plugins, we use different animation in here. We use animation to display the style of appearing, disappearing, layout, mode, parts, title, and different events in the color picker. The animation gives a beautiful looks and the effect in the color picker looks attractive.